Also check out our Interview With Darragh O'Toole, Creative about the new PCI Express X-Fi sound cards. The "relationships" between the PCI Express bus and Creative were not shaping well. At first, the company tried to couple the new bus with the existing X-Fi (20K1) DSP. Then they decided to design a completely new controller. The company officially reported about design difficulties, latency problems and delays. Perhaps, Creative was sitting on the fence and waiting what would come out of the PCIe 1x slot for peripheral devices, considering the total absence of such peripheral devices. Their estimation was right: no sane motherboard maker would have abandoned PCI slots. Usually one or two PCIe 1x slots were placed in the most inconvenient places -- close to the graphics slot, for example. Under these conditions, it made little sense to redesign the entire board without getting real advantages. Besides, PCI cards were selling well anyway. 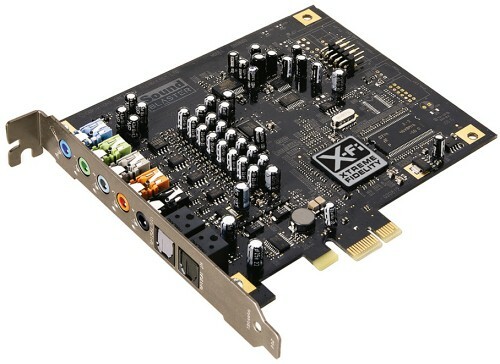 In order to keep up with competitors, the company rolled out a pared-down X-Fi Xtreme Audio sound card in 2007 as in intermediate PCIe solution. It had no hardware DSP, and all its features were implemented on the software level. But it didn't yield to other X-Fi products and was quite inexpensive, starting at $50 in the U.S. That was twice as cheaper comparing to X-Fi cards with hardware DSPs. 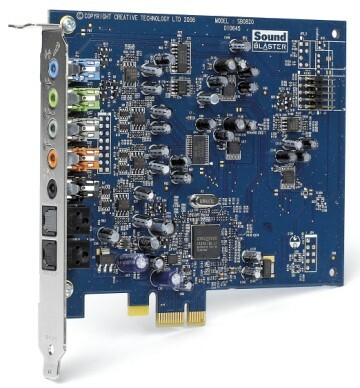 However, users wanted sound cards with hardware X-Fi (20kx) DSPs. And the fully-fledged PCI Express sound cards were finally announced in mid 2008, hitting the stores in sufficient quantities. PCI Express sound cards with hardware DSPs belong to the the Titanium series and have complex suffixes of 2 or 3 words following the "Titanium" title. 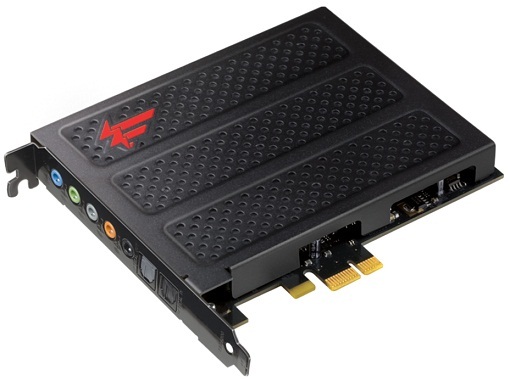 People have already labeled such long names as "gigantomania", and retailers complain that titles like "Creative Sound Blaster X-Fi Titanium Fatal1ty Professional Series" won't fit into price lists. The differences are easy to figure out. The "Fatal1ty" suffix traditionally stands for 64MB of X-RAM. Besides, both Fatal1ty cards have metal covers. The most expensive "Champion" card differs from the medium-priced modification by the control unit to be installed into a 3" or 5" bay. X-Fi Titanium, the cheapest PCI Express card with a fully-fledged DSP, but no X-RAM. X-Fi Titanium Fatal1ty Professional Series with a a fashionable metal cover. 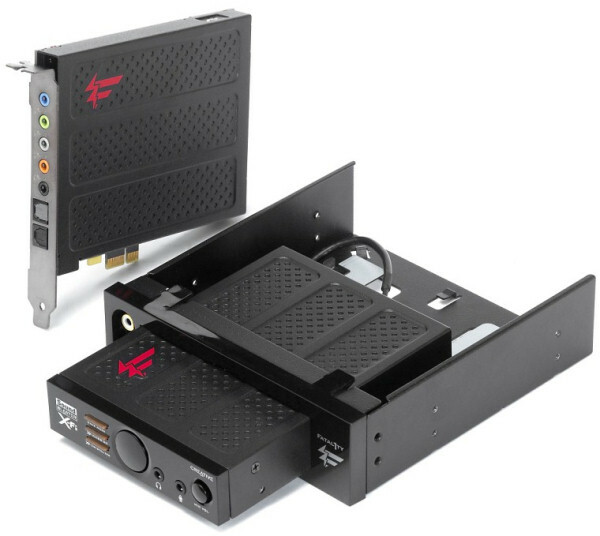 X-Fi Titanium Fatal1ty Professional Series + 3" or 5" control unit. The internal unit has a more convenient layout of connectors and controls. Interestingly, it adds to the price tag just as much as X-RAM and the Fatal1ty title do. Unfortunately, there are no other options than installing it into a 3" or 5" bay. The possibility to place it on the desk, like that of X-Fi Elite Pro, would be nice as not everyone has the PC enclosure at hand.